STUNNING Lennar Orchid villa offers 2 bedrooms plus den, 2 baths, and 2 car garage decked out with distinctive quality and luxury. Complete with custom built-in mirror in foyer, tile set on the diagonal, designer fixtures, decorative ship-lap through living room and in den, crown moulding, built-in headboards in both bedrooms, and more! It is a personal oasis filled with character and charm. 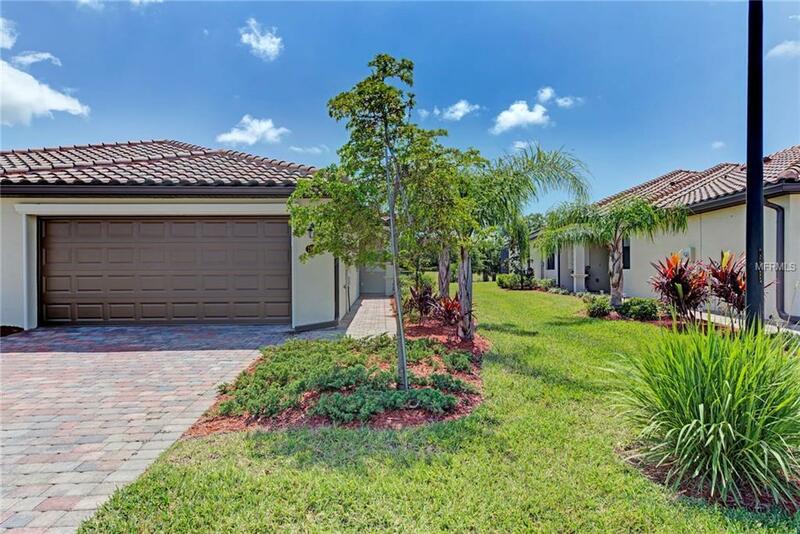 It has $5k in upgraded blinds and custom window treatments, $12k in carpentry and changed lighting, as well as a lovely extended lanai that is ready for your relaxing and entertaining. Completely carefree living awaits, as it is located in the maintenance-free resort community of Gran Paradiso, which boasts a free form pool, spa/hot tub, saunas, steam rooms, fitness center, tennis courts, pickleball, and a calendar full of available activities. Save as much as $7k or more on closing costs by buying resale compared to new construction. Don't miss this one! Come check it out today. Listing provided courtesy of West Villages Realty Llc.